The obvious, no-brainer choice for architecture in Taiwan may be Taipei for most, with its towering beast of the Taipei 101 – a monumental structure that has come to be synonymous with the city itself, joining the ranks of every major city’s building anchor (to which you can do unsavory things via forced perspective photos). Beyond the megalith, Taiwan’s best emerging architecture may, in fact, be found in Taipei’s mirror-image city of Kaohsiung. In a city that’s developing as fast as the High Speed Rail, systematic Japanese colonial urban planning roots, a port-centric locale and a government committed to the arts and culture sector make for a redevelopment paradise. From the neo-baorque stylings of the Wei Wu Ying Center of the Arts to the revitalization of yesteryear’s relics, Kaohsiung is an architectural forest of new, old and the reused – quickly becoming the best representation of a hypermodern city Taiwan can offer. With the Taipei Dome, set to be wrapped up by 2017, mired in controversy over safety regulations and general political hoo-ha – rather than anything remotely design-oriented – we need only to look over to Kaohsiung’s National Stadium to remind ourselves why we love such colossal displays of national pride. 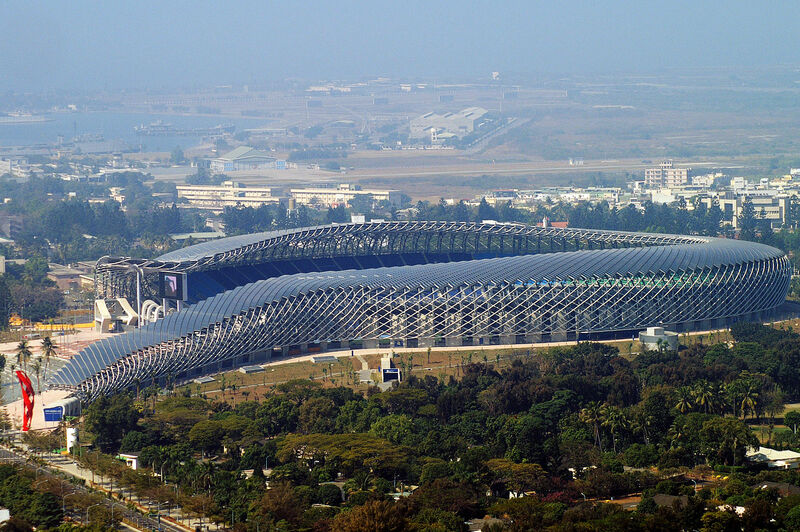 Completed in 2009 in time for the World Games, this spiral-shaped, dragon-like, designed by Japanese architect Toyo Ito, who also designed the Taichung Metropolitan Opera House, is the world’s first 100 percent solar-powered stadium. 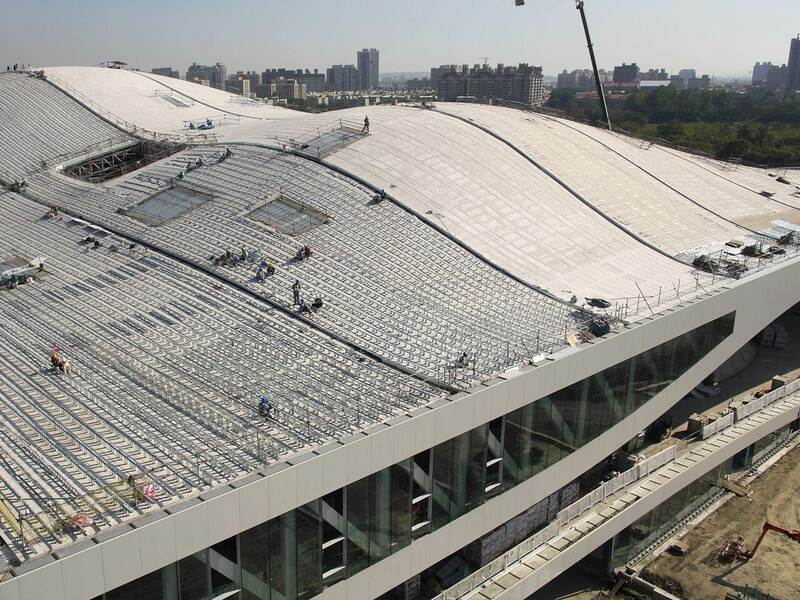 Made up of more than 8,000 solar panels, the National Stadium is a feat in both design functionality and style. Opened in 2012, Dadong is not only promoted as a multifunctional art space but a ‘public domain’ in itself. With nods to the traditional Taiwanese courtyard house – with its central plaza-like patio – Dadong signalled a move towards revitalizing the urban space as pleasant, liveable and most significantly, open. 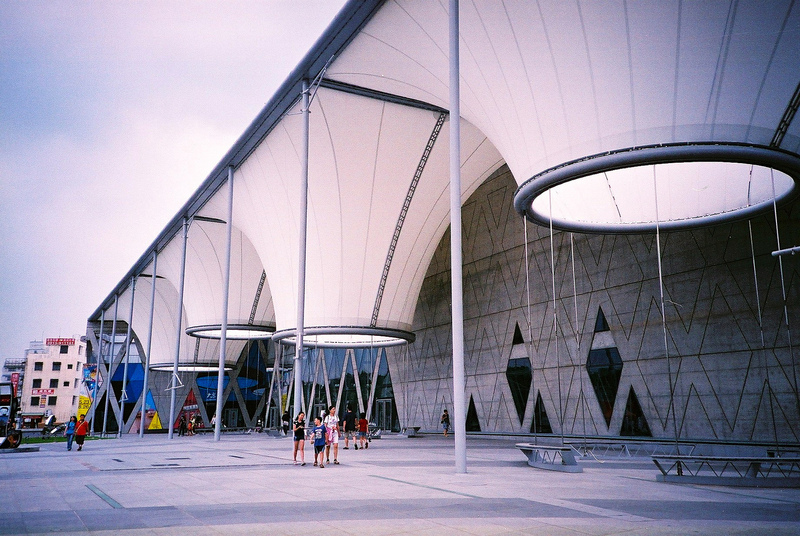 Rather than forgo Kaohsiung City’s strong ties to the natural environment, the center is one-half indoor and one-half outdoor – achieved through the genius use of its membrane roof. The prominent hot air balloon-like funnels not only showcase its world-class, idiosyncratic design but act as a functional shelter that maximizes the climatic offerings of wind, light and rain. Still under construction, the Wei Wu Ying Center of the Arts is a part of the vast arts and cultural network that Kaohsiung city has planned – to which the Dadong Arts Center is also connected. Built on the previously abandoned military camp base of the same name, Wei Wu Ying is currently billed to become a major stakeholder in the future of Taiwan’s creative industries. The design brainchild of Dutch company Mecanoo, the monumental structure has already won a wealth of architecture design awards. Just one of many constructions devoted to the arts sector currently under way (watch out for the upcoming Maritime Cultural and Popular Music Center), Wei Wu Ying is representative of the complete revamping of Kaohsiung City as the new arts and culture hub of Taiwan. Green-thumbed bookworms rejoice: Kaohsiung Public Library is not only the region’s largest library but also doubles as a paradisiacal subtropical garden. The 38,000 m² gigantic cube, while a minimal design offering on the surface, seamlessly weaves flora and fauna into its ultramodern architectural fabric. With potted container plants adoring the facade and a green roof, the library is the world’s first ever suspended green building. 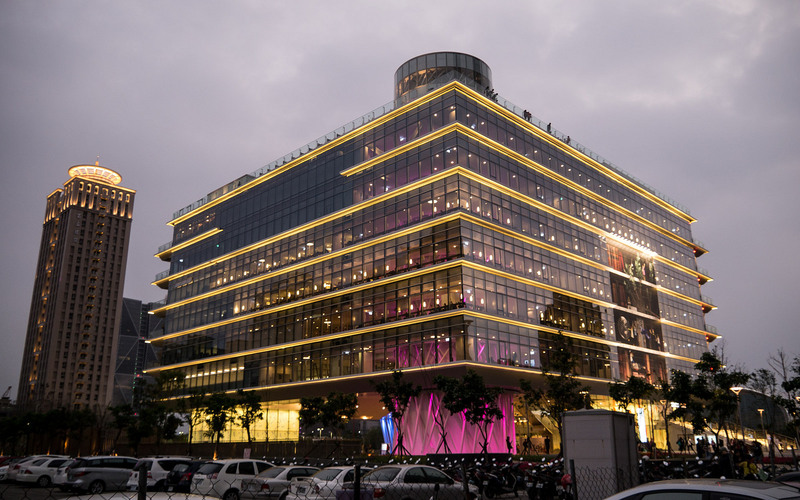 Designed by Mecanoo in collaboration with Taipei-based Artech Architects, the building is yet another addition to Kaohsiung’s expanding list of eco-friendly buildings. Being conceived in mid-90s may not seem like that long ago and therefore not worthy of the title ‘old’, but it has, in fact, been decades – with a ‘s’. Architecture is a fast game, and with decades proving almost too long for one building to be replaced by a cooler and more attractive other. 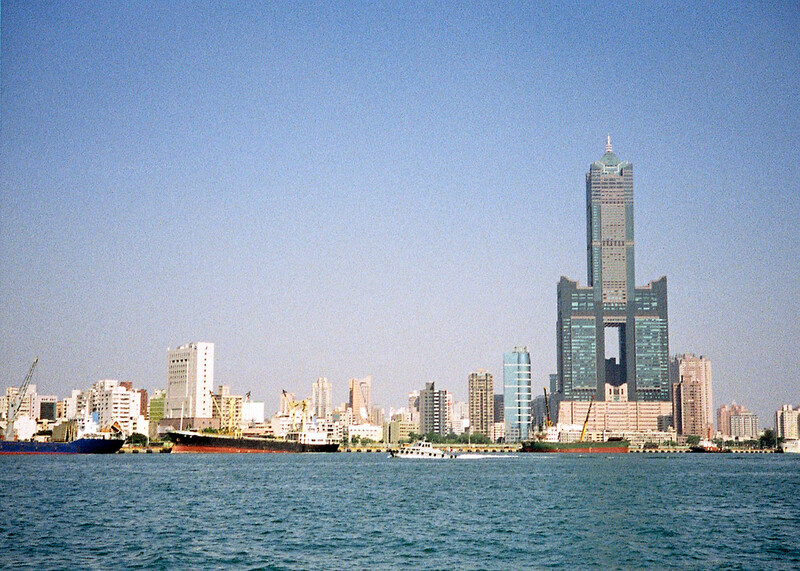 Case in point: The 348 meter Tuntex Sky Tower, formerly Taiwan’s tallest building until 2004. The tower’s design echoes the Chinese character ‘gao’ (高) in shape, the first letter in Kaohsiung and also the word for, ironically enough, tall. Not dissimilar to an ex-president, or a washed-up child star, the Tuntex deserves a mention for both its short-lived glory, as well as its retrofuturistic Bladerunner-esque aesthetics. 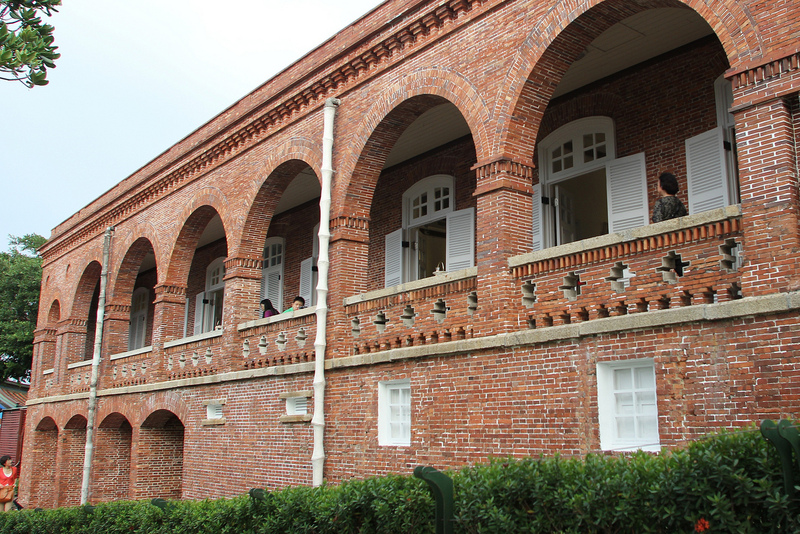 Built in 1865, the Old British Consulate is today the oldest Western-style buildings still fully intact in Taiwan. Kaohsiung (formerly Takao) was one of the many ports that the Qing government opened up for foreign trade following the Peking Treaty – resulting in the establishment of this particular British consulate. It remained in operation for some 40 odd years before the Japanese occupation. The two-story building, with its notable archways and red bricks, offers not only picturesque photo backdrops, but a neat 270-degree panorama view of both Xiziwan Bay and the Port of Kaohsiung from its advantageous hilltop position. This means you’ll have to not only fight through the weekend wedding photographers, but also an onslaught of selfie-stick-carrying tourists. It’s a stark splash of color to the otherwise ultra-sleek and minimal: amidst the city’s complete modernization overhaul, this portside warehouse site not only serves as the city’s best artistic junkyard playground, but a constant reminder of Kaohsiung’s industrial past. 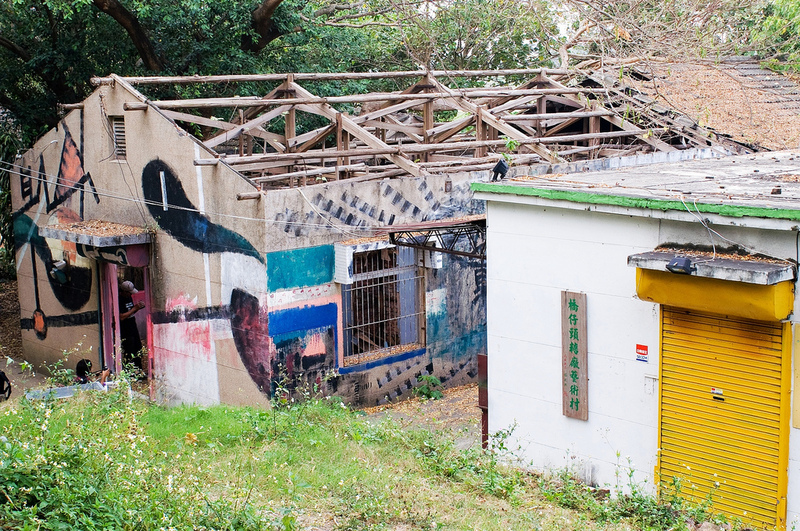 Built in 1973 and subsequently abandoned, the site was transformed into an art site by the Bureau of Cultural Affairs in 2006 at the request of local artists. The quirky site now houses exhibitions, workshops, and general creative activities of interest – as well as the yearly Mega Port Music Festival. 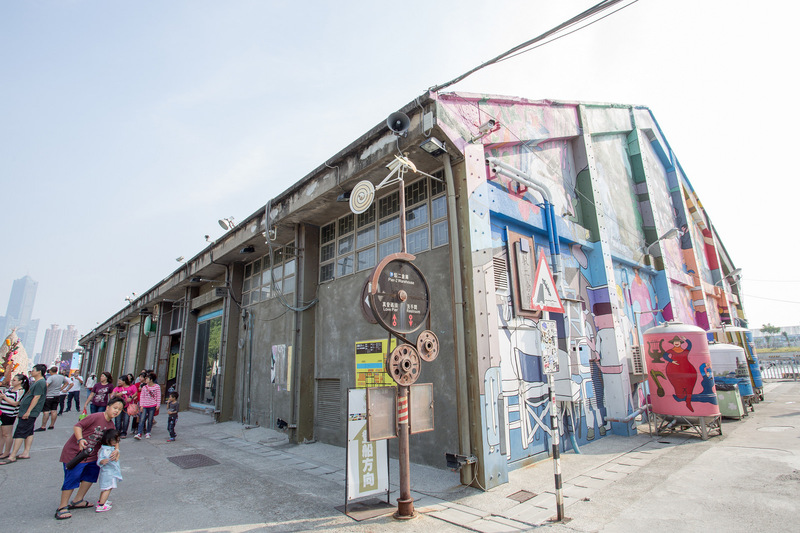 More playful than Treasure Hill Artist Village, and shabbier than Huashan Culture and Creative Park, the old Ciaotou Sugar Refinery is an art village and historical site that rivals its Taipei counterparts in charm. The repurposed site of Taiwan’s first ever modern sugar refinery, built in 1901 under Japanese rule combines old historical artefacts with new artistic installations, transporting visitors to not only another era in time, but another world all together. While the sugar museum may prove too pedagogic for many, its surrounding areas, and the old locomotive train ride, offer plenty of nonsensical, nostalgic fun.